I’m pretty sure you all know that I love to do my nails. I had been hearing about Jamberry Nails for awhile, and when my friend Leslie became a consultant, I was so excited to finally give them a try. Leslie sent me a half sheet of nails and a few accent nail samples, plus nail prep wipes and a nail file to get me started. 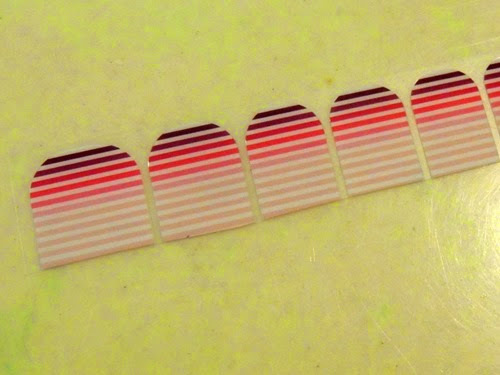 The first thing I did was to cut the sheet of nail stickers in half, because I wanted to save the second half to use again. 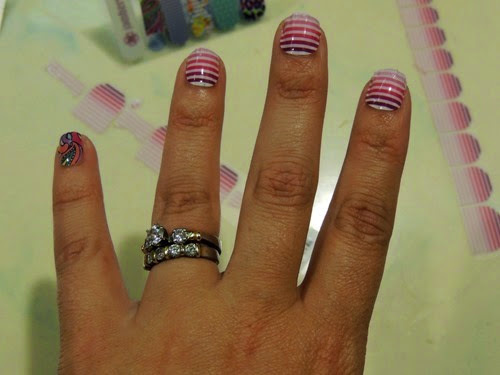 There is plenty of room to turn them into two manicures, plus the excess can be used to enhance a future manicure by making stripes or other designs on your nails. I’m excited to do that soon! But firstly, I had to do my first manicure. The directions for applying these nails are to clean your nails with the prep wipes, to heat the nail wraps with a hair dryer or a heater, and then press the wrap onto the nail. 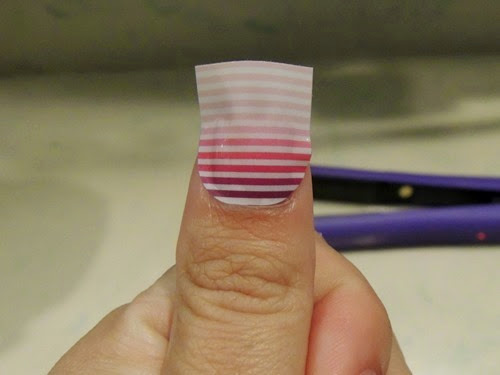 The excess can be removed with nail scissors and filed down with a file. 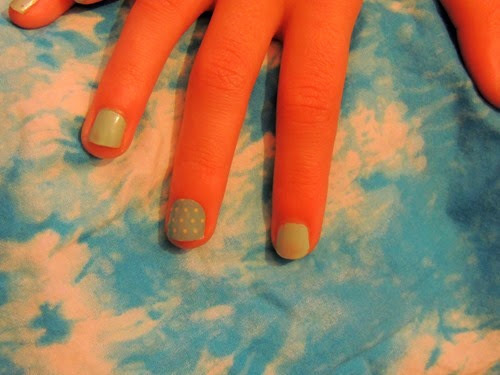 I used one of the accent nails to enhance my manicure, plus I used one of the accent nails on Gabbie! 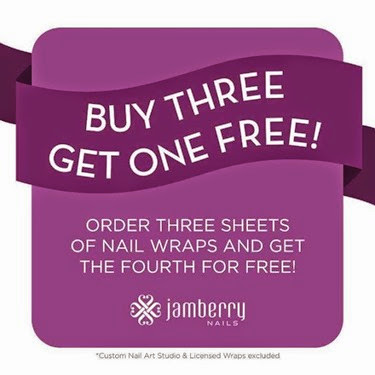 Jamberry has over 300 designs to choose from and I am loving the variety available – everything from classic and trendy to striking and vivid are offered! Leslie and I would love for you to check out her consultant site, plus enter to win our giveaway for your own wrap sheet good for 2 pedicures and 2-3 manicures along with a mini manicure set!